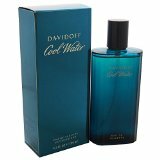 In this post you’ll be seeing my review of the cool water mens cologne by Davidoff. I try to cover a lot of the main things that we as men look for when trying to determine whether or not we might like the cologne or not without actually being able to give it a trial run. This makes it even more complex if you’re buying this cologne as a gift because you have no clue if that person will like it or not even if you do. So let’s look at some of the more general information about Davidoffs Cool Water cologne. To start the price is very good, I guess depending on where you purchase it makes a difference but overall it seems to be at an affordable range. I really enjoy the fact that they have so many sizing options available, especially the mini size like I mentioned above. I always try to give a description of the fragrance or at least try to compare it to something that you could relate it to but I’m finding it very hard to do with this one. After pondering on this for awhile the best I could come up with is imagine the fall season possibly near a waterfall with the smell coming off from where the water hits the ground, the mist part of it if you will. I’m not sure if that is a good description or not but that’s what somewhat came into my mind when smelling it. Whether women will like the smell of your cologne is one of the highest priority questions for men when deciding on a cologne so of course I’m going to talk about this. On a general basis women like men who wear cologne more than those who don’t. However I want to truly get a better understanding on whether they liked it just because or if they liked it as good compared to others. With that being said I’ve done multiple tests with the multitude of colognes that I have and I’ve noticed that I’ve gotten a lot more compliments from women between the ages of 20-40 while wearing this cologne compared to others. I don’t know if this just because I’m in this age gap myself and they feel more comfortable giving me this compliment or the fact that younger and older women don’t see to like this fragrance as much compared to the other age range. Generally speaking though it’s has been expressed to me as being a very likeable cologne from those around me. This cologne has become well known and a very popular to which it has become a regular on the shelves for most stores that carry a selection of mens colognes. I usually buy colognes from amazon just because I’m usually ordering something from them anyways so why not but there are some local stores that do carry it as well. Some places like CVS usually have a good selection of cologne in which I believe I’ve seen it in there the last time Ive looked but also look at some of the more niche specific store to carry that stuff such as Sephora if you have one near you. The only downside to buying it in a local store is that they probably only carry one or two sizes of it while only you can order pretty much all the sizes that they have available. Do I recommend This Cologne? I absolutely do from my personal opinion but there are so many hit or miss possibilities on whether or not another person might like it so I always suggest to do as much research as possible before making a purchase. I highly recommend that you find some way to at least give it some sort try, maybe borrow your buddies bottle for a few days or go spray some on at a local store. All of these will give you much better insight than reading reviews online for something such as cologne.